A gorgeous lavendar shade lends a whimsical air to this powerful amulet shawl. 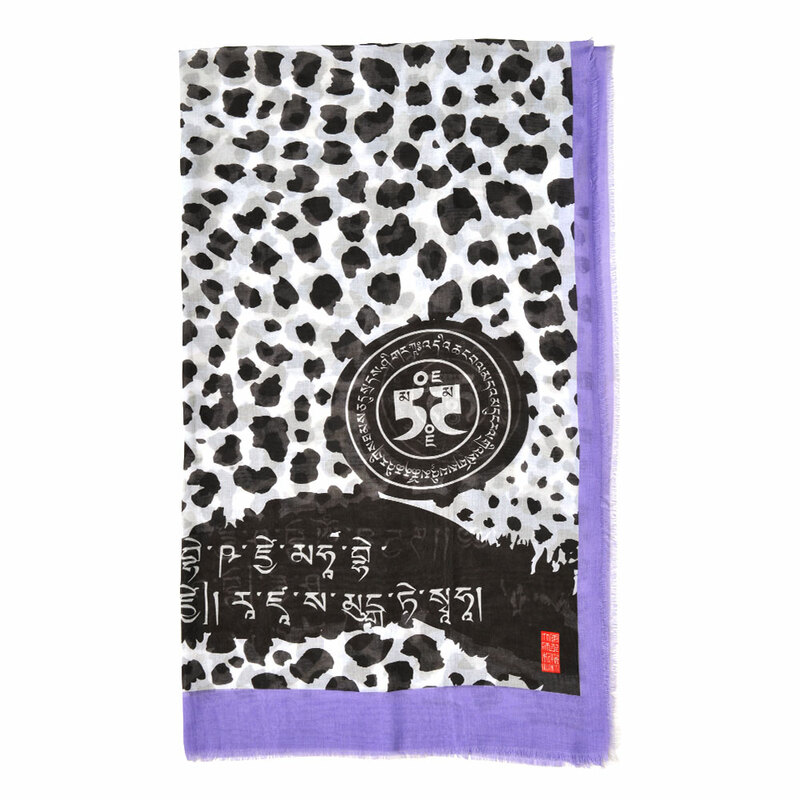 Empowered by mantras that protect against being at the wrong place at the wrong time, it is further activated by the fearless energies of the “leopard skin”. Wear when travelling or when going on at night.